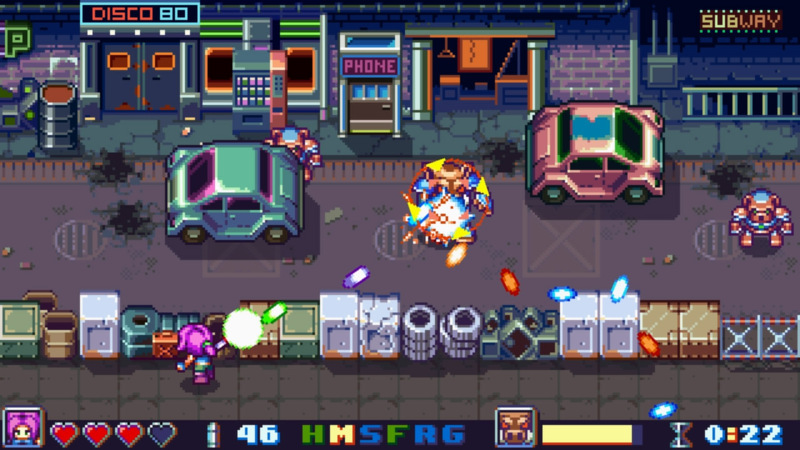 Hello gentle readers, and welcome to the SwitchArcade Round-Up for April 11th, 2019. There wasn’t a whole lot of news to cover today, nor was there much in the way of sales information to go over. But if you think that means we’re getting off light, you haven’t seen today’s release calendar. We’ve got summaries and recommendations for a whopping thirteen new releases that hit the shop today in order to help you find the gems in the lot. With plenty to cover, let’s get right to it! There’s actually quite a few of these Greco games on the Japanese eShop, and many more that are quite similar to them. They’re aimed mostly at kids to help them learn basic math and writing, kind of like Reader Rabbit was to a generation of PC gaming kids. Only not as famous, of course, because there are like a billion of these things. Anyway, they’re generally not that much fun for adults, but a kanji learner for Japanese kids is probably at right about the best challenge level for a non-Japanese speaking adult. And here we are. 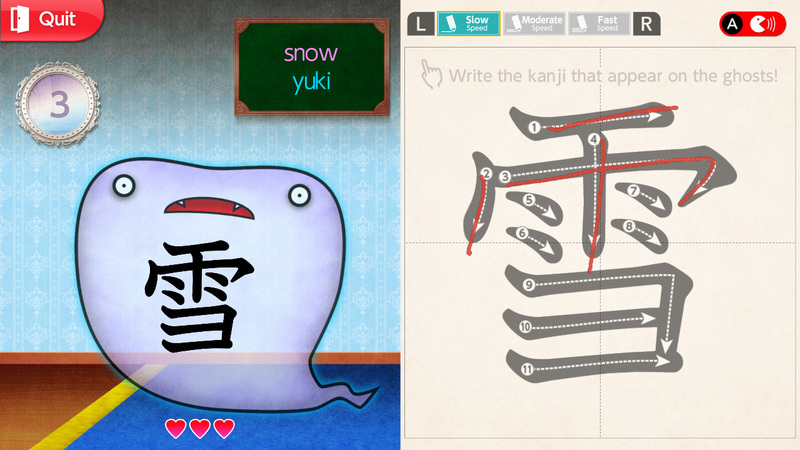 If you want to learn some introductory kanji, this might be a pleasant way to do it. Just keep in mind that it was originally made for young kids and its aesthetics and overall presentation are in service to that. Most Japanese game companies aren’t terribly shy about re-releasing their old console games, but it’s altogether more rare to see vintage Japanese PC games show up on modern hardware. The Demon Crystal was created by a small but prolific game developer called YMCAT in 1984. It released on a ton of platforms such as the Sharp X1 and the MSX, which for Japanese computers roughly correlates to America’s Commodore/Atari microcomputer era. This was a very early action-adventure game and as such it’s a bit of a jerk to play if you’re not in the right frame of mind. Secrets are inscrutable at times, though this version does offer hints. Level designs are more than a little unfair in places. The music is a loop of a seven- or eight-second piece. They really don’t make them like this anymore. For a few people reading this, that will make this sound enticing. Go with your instinct one way or the other. I’m not sure what to say about a game that tries to sell itself by mentioning that it will help your brain generate dopamine. I mean, true, but also, is that really all you’ve got? Anyway, this is a game where you have to align boxes just so in order to make them disappear. The fewer the moves you take to do this, the better. Naturally, it’s not just as simple as matching colors all of the time. You’ll also need to deal with gimmick boxes that need to be handled in specific ways. It’s nothing particularly special but it seems well-made enough for what it is, and it’s only a couple bucks. In a lot of ways, Nerial and Devolver Digital’s Reigns series is the perfect match for the Game of Thrones license. Leader makes snap decisions, sometimes people die. Sometimes the leader in question dies. There are tons of characters, and many players will already be familiar with most of them. 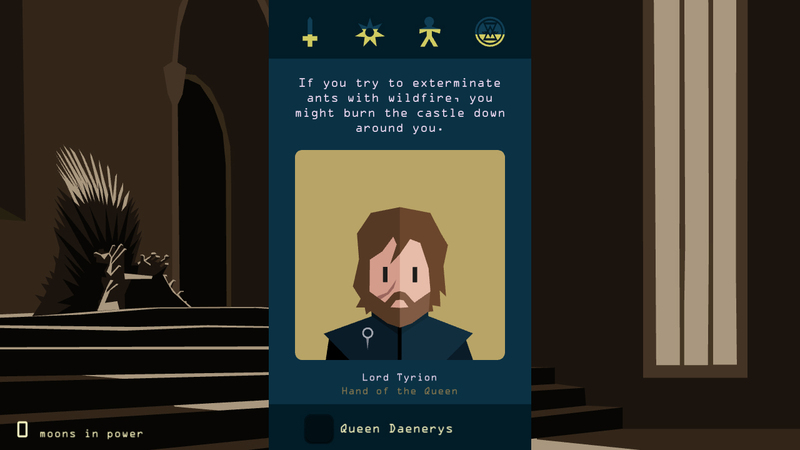 I mean, this is probably the best Game of Thrones game around. I don’t think it’s the best Reigns game around, but it’s not like there isn’t room in the world for a third Reigns game. Safe to say that if you enjoy the other games in the series, you’ll want to give this one a go, and if you’ve never played them but love Game of Thrones, you very well might dig this one too. Either way, it’s not terribly expensive to give it a chance. 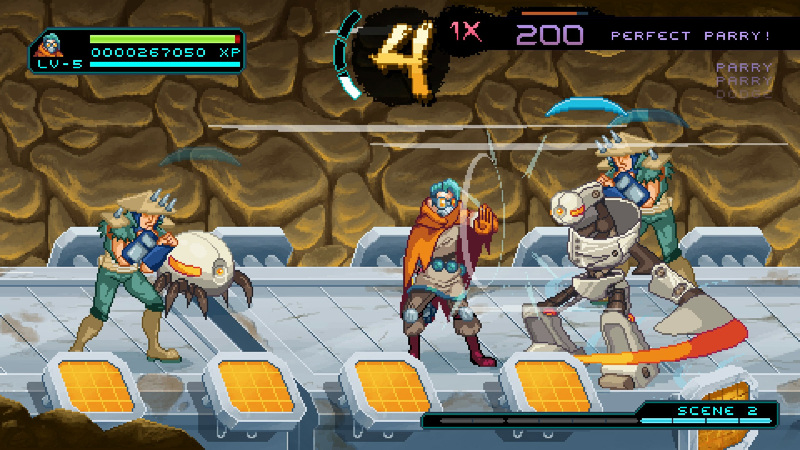 This is a PvP-focused arcade action game for up to four players. 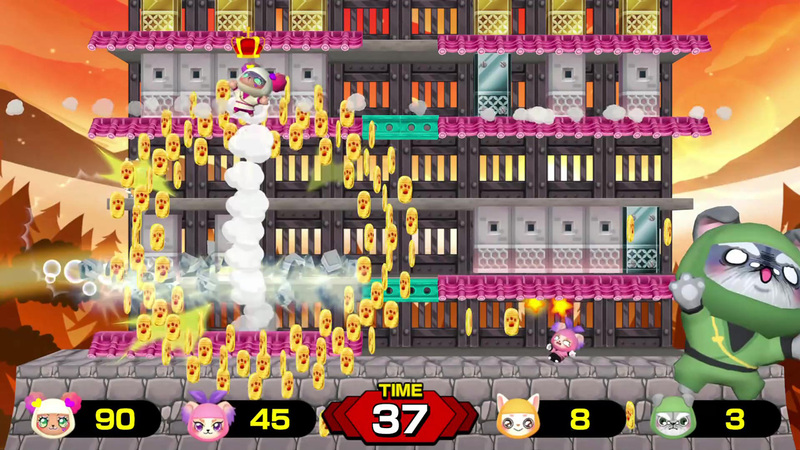 The way it seems to work is that players can remove blocks from the castle, with the aim being to collapse the roof on your rivals. 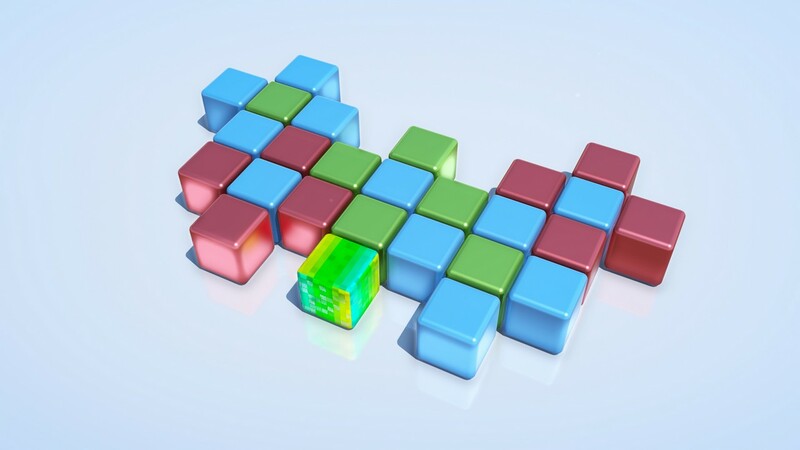 Breaking blocks earns you coins, and whoever has the most coins at the end wins. Seems cute, but it definitely looks like it doesn’t have much long-term value unless you find three people who really get into it with you. And that’s a shame, because dressing up cute dogs as ninjas is a premise I can totally get behind. Matching puzzle meets vertical shoot-em-up and the result is quite good. This is from the same folks that brought us the surprisingly enjoyable Strikey Sisters, so I shouldn’t really have been surprised that Super Star Path is also really great. Love the pixel-art graphics and the soundtrack is some excellent FM synth-style stuff. The only real downside is that once you get a handle on how the game works, it’s only about an hour long. That isn’t really a problem in shoot-em-ups if they have a compelling scoring system, but that isn’t one of the strong points of this game. Still, it’s a good romp for your money and I definitely recommend it. I’ll be putting together a full review of Vaporum sometime in the next few articles, but the long and short of it is that I think the game is alright, but not as good as I was hoping. 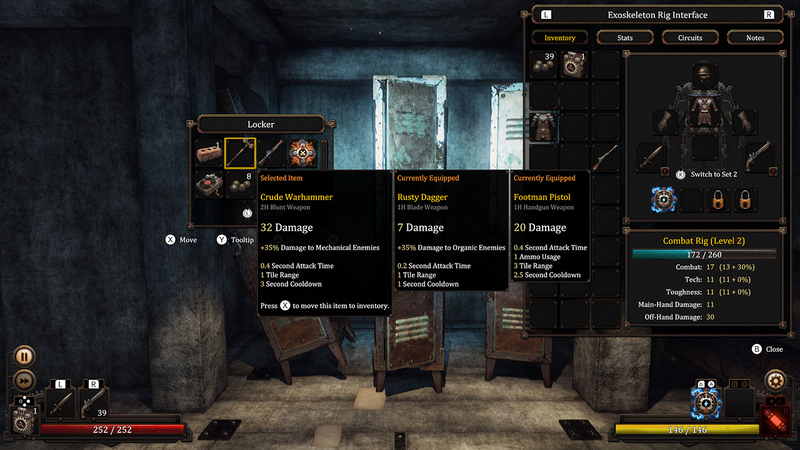 This is a real-time dungeon crawler in the vein of things like Dungeon Master, Eye of the Beholder, or The Legend of Grimrock, but with a steampunk twist. It’s not party-based, so combat gets a little repetitive after a while, and while the dungeon floor designs aren’t too bad, they’re not terribly memorable either. This is another PC port where the text is almost illegible on the handheld screen of the Switch, which is kind of annoying. Given the other options on the Switch, this is probably the best game of its type you can get on the system right now, but don’t come into it expecting anything as good as Grimrock. With how well-known this game is, the main question about this particular release is probably how well the Switch port has turned out. And uh, holy smokes. The developer really knocked this one out of the park. Like, it even looks pretty good in handheld mode. With that settled, it comes to the game itself. It’s a really great game with decent action and a very well-told story. It’s definitely on the darker side of things, but I’m sure you can tell that just by looking at it. Anyway, games like this don’t come along all that often on the Switch, but even if they did? 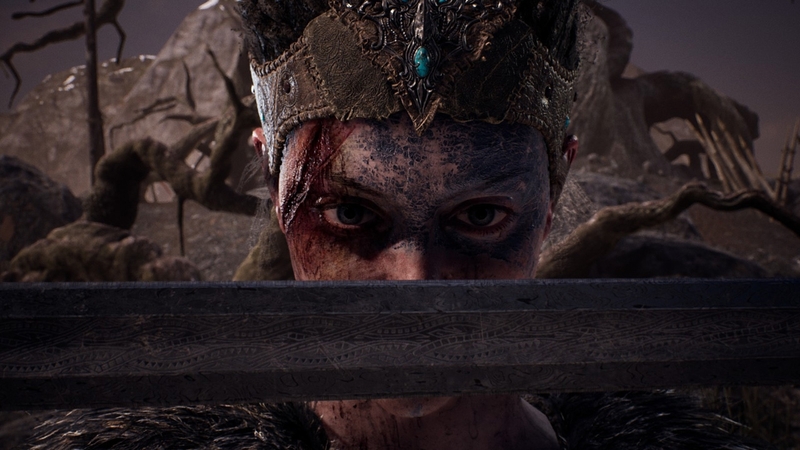 Hellblade would still be worth picking up in any case. Ha ha ha, what? Did DYA Games go and release Switch ports of two of their games on the same day? And they’re both pretty awesome? Geez. Oh well. Okay, so I didn’t mention the developer’s name up there when I talked about Super Star Path, but Bot Vice comes from the same bunch. This one is a gallery shooter, and once again the presentation is excellent. Nice pixel-art graphics and a sweet soundtrack. And the shooting action is hot, hot, hot. This is probably my favorite game from this developer and it’s a definite must-have for anyone who hasn’t already picked it up on another platform. Hey, it’s a Daedalic Entertainment adventure game! This are usually at least decent, and yeah, Silence is certainly that. It’s a little on the breezy side in terms of difficulty, but that’s not necessarily a bad thing. And the art is simply gorgeous. The backgrounds look hand-painted, and the 3D characters moving on top of them blend in quite nicely. Perhaps most importantly, the story is extremely compelling. 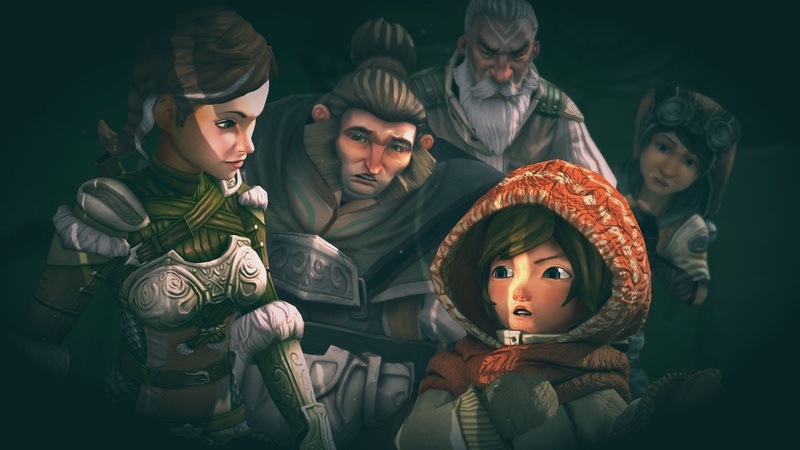 This is actually the sequel to a game called The Whispered World which isn’t on Switch as of yet, but it stands alone just fine. My only big criticisms here are that the pacing is a little off at times and the puzzles could have used just a little more bite. Overall, however, this is a very solid choice for adventure game fans. This is a very clever take on the beat-em-up genre. Being clever will only take you so far, though. As a bit of a send-up of the often-mindless genre, this game certainly looks and sounds the part. Its hook of having you deal with enemies by first dodging and parrying their attacks until they get exhausted is certainly an interesting change from the button-spamming gameplay generally endemic to beat-em-ups, but it gets just as tiresome over the course of the game. 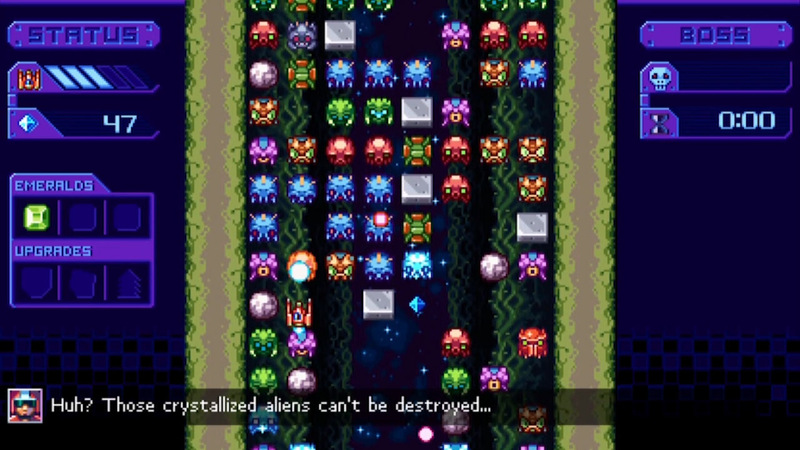 After the first couple of levels, you can’t help but notice you’re doing the same things to very similar groups of enemies again and again, with only the scattered boss battles providing any serious thrills. Still, those first couple of levels are awfully neat, and tremendous kudos to the game’s customizability in its difficulty. This wasn’t an overly great game when it came out five years ago on mobile, and it’s not much better now. 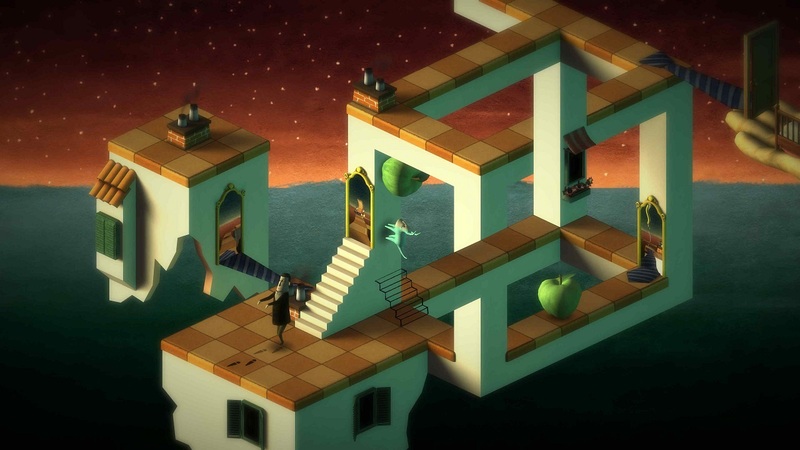 Guide Bob the oblivious sleepwalker through bizarre Escher-esque isometric environments by herding him around using objects and gimmicks. Bob walks forward until he hits something, at which point he’ll turn right. Use this strange habit of his to get him where he needs to go in each stage, but be careful he doesn’t walk himself into a corner. The art style in this game is really strong but the gameplay is a little too familiar in an unpleasant way. But if you like babysitting an idiot, you might enjoy what you get here. Well, well, well. If it isn’t my old nemesis? Or rather, my new old nemesis? 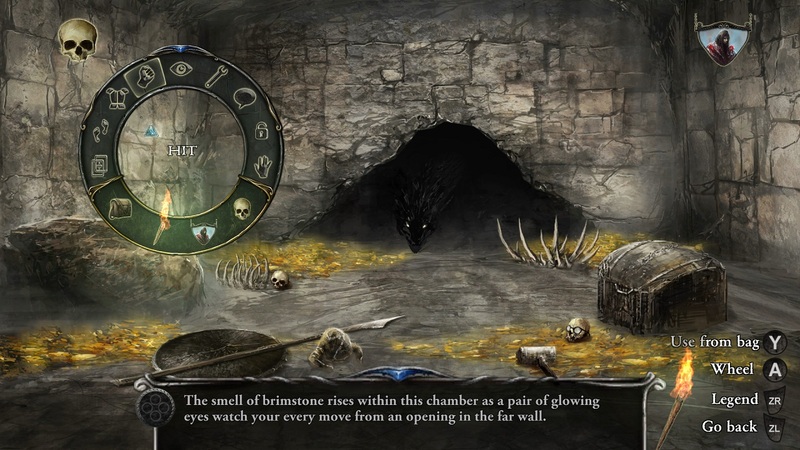 This is the 2014 Shadowgate remake that came out on a handful of platforms, now available on your Nintendo Switch. 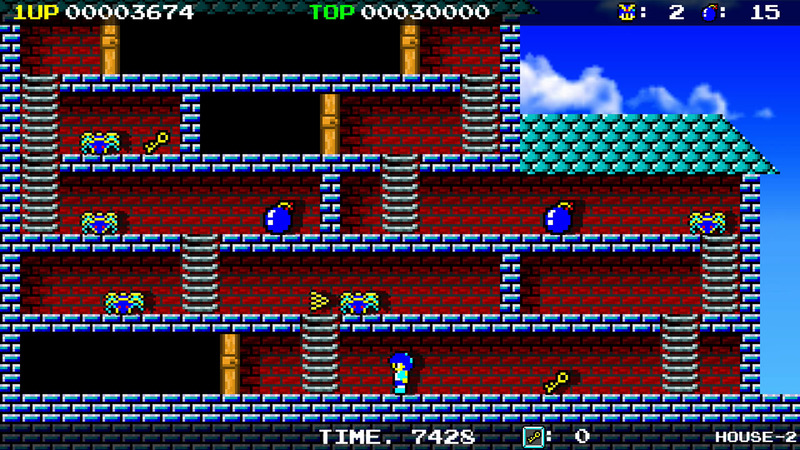 It’s basically the original game with new graphics, spiffed-up sound, a bit more story, and a new interface. It even offers a Retro Mode, which just uses still frames of the remade backgrounds at a lower resolution, which isn’t that great if I’m being honest with you all. But that mode does let you listen to the music in the form you’d remember from the NES port, and that’s not a bad thing at all. Anyway, this is a 1980s adventure game wearing a somewhat modern face, and it’s not bad if you can find the humor in stupid deaths. It’s looking pretty quiet again today, at least at the time of this writing. Note that a few good games are finishing out their discounts tomorrow. 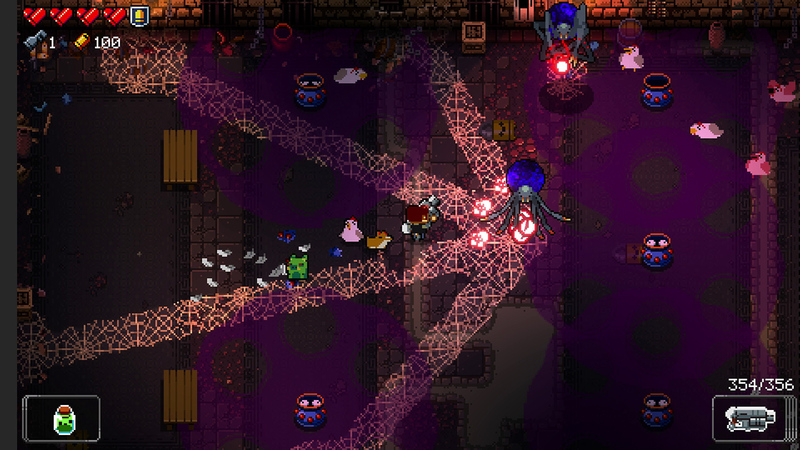 Enter the Gungeon and Furi don’t go on sale all that regularly, and both just got nice new updates. I think they’re both worth getting, but that may just be me. And that will do it for today, friends. We’re not done with this week yet, however. There are a bunch of new games hitting tomorrow, including Nintendo’s own Nintendo Labo: VR Kit set. We’ll be back in 24ish hours to cover all the Friday releases, along with whatever news and sales happen to arrive. As always, thanks for reading!